Lorde has found herself on the receiving end of backlash after posting on Instagram a photo of a bathtub alongside a Whitney Houston quote. She was accused of disrespecting the late singer, who was found dead in a hotel bathtub in 2012. The 21-year-old New Zealand-born singer took to her social media account on Thursday, April 5 to share the picture of the bathtub filled with water. She wrote in the caption, “And iiii will always love you,” which is part of the lyrics of Houston’s 1992 hit cover of Dolly Parton‘s song “I Will Always Love You”. 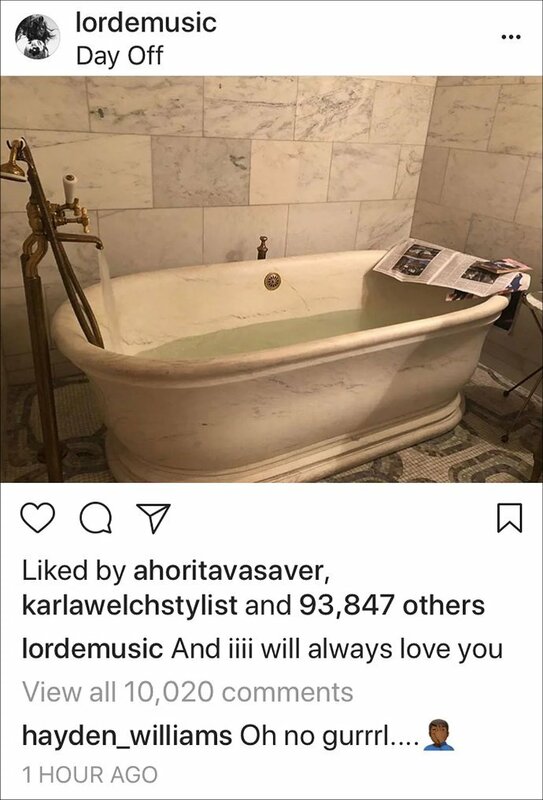 Lorde shares a bathtub photo along with Houston quote. 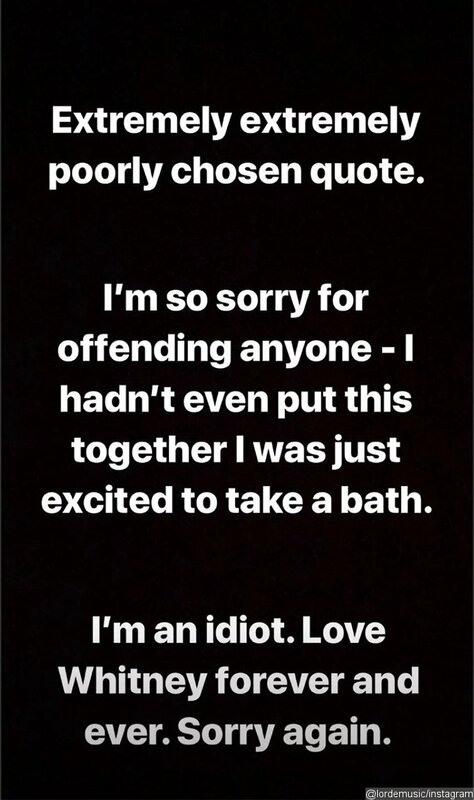 Lorde apologizes for posting bathtub picture. Houston died on February 11, 2012 due to accidental drowning as a result of heart disease and longtime cocaine abuse in a bathtub of the Beverly Hilton Hotel in Los Angeles. She was 48.